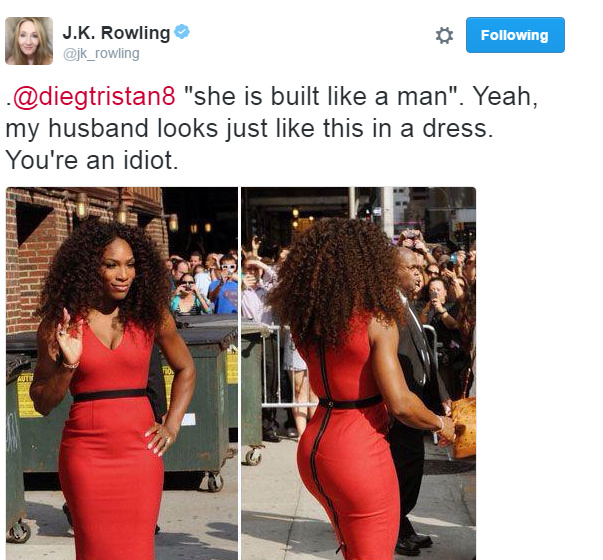 J.K. Rowling = QUEEN! 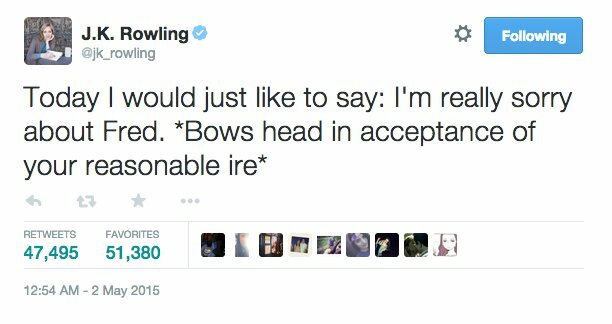 And if someone says otherwise, let them be, because Muggles won’t get it! When she tweeted the one thing that would make all of us feel better. Crying tears of joy! 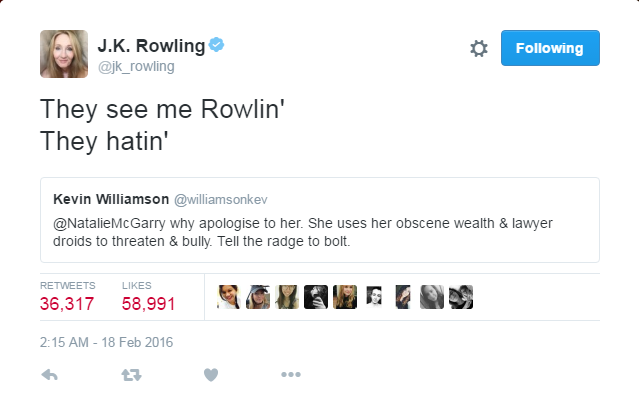 The day she apologized for killing off a character. 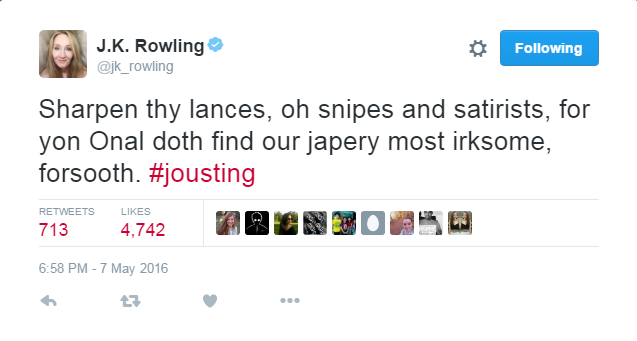 Did you know she was good at jousting? Well, she is! 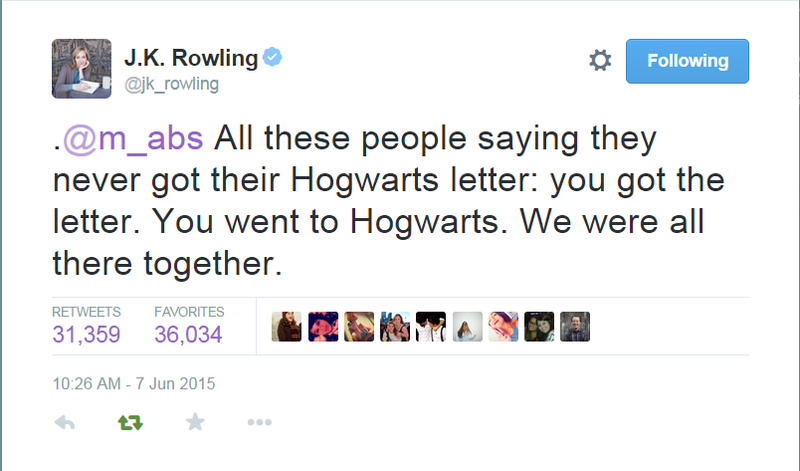 When she took care of the Harry Potter cast long after the movies. 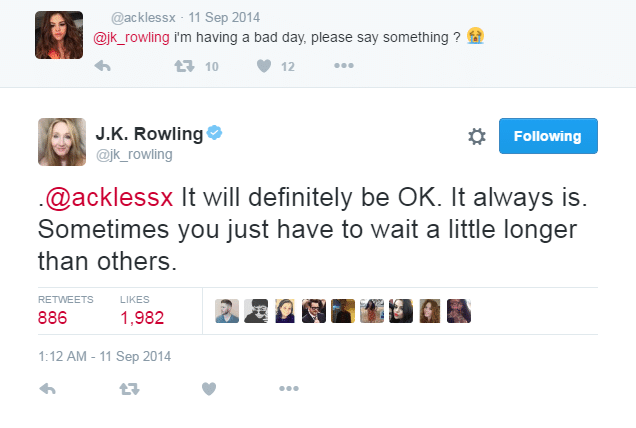 When she helped a fan going through a rough time. Joanne, you sweet, sweet soul! Standing up for women all over, because that’s what queens do! Perfectly owning them trolls, with marshmallows on top! 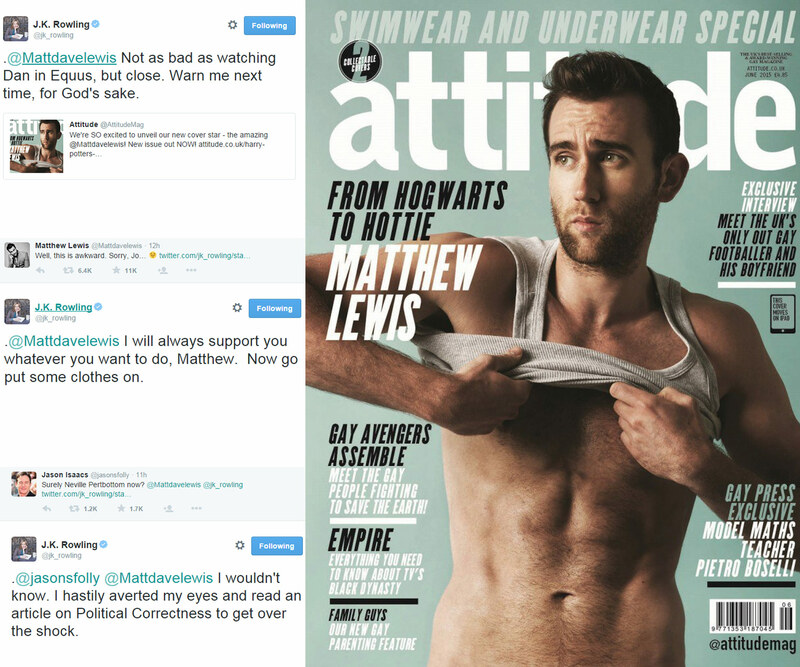 And this is how Rowling rolls!